Sarah had two brothers, Harry and Samuel Roth. Harry's grandchildren, Sarah's great-nieces, have reached out to me in order to provide an update about the living family members. Harry had two children, Arthur and Viola. Sarah was their aunt. Arthur is now 96 years old and lives in North Carolina. He and his wife had three children, Karen, Pamela, and Charles Roth. Viola married and had four daughters--Louise, Janet, Joyce, and Carolyn. As children, they heard of Sarah's voyage and her marriage to Daniel Iles. All seven are living. At age 15, Joseph Groves Boxhall of Yorkshire couldn’t wait to begin a life at sea like his grandfather, father, and uncle before him. He became an apprentice with the William Thomas Line, and joined ships sailing for ports in Russia, the Mediterranean, North and South America, and Australia. 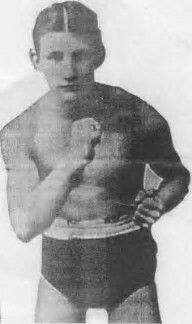 By 1907, at the age of 23, Boxhall earned his Extra-Masters Certificate and joined the White Star Line. As Sixth Officer on the Oceanic, he met another future Titanic officer, Charles Lightoller. Then, after a year aboard WSL’s Arabic on its North Atlantic run, he signed on as Fourth Officer for RMS Titanic. Once at sea, Boxhall’s duties included regular watches, navigation, and assisting passengers and crew. Aboard the Titanic on the night of April 14, 1912, Officer Boxhall was having a cup of tea in his cabin near the bridge. He heard the sound of the three warning bells from the crow’s nest and went to see what happened. As he reached the bridge, Captain Smith instructed him to go below and check the forward part of the ship for damage. He didn’t find anything wrong at first, and told a third class passenger holding a chunk of ice to return to bed. Very soon, however, another crewman reported damage to the forward compartments, and the postal clerk came to report that the mail room was quickly filling with water. Boxhall’s next orders were to determine Titanic’s exact position. As the passengers made their way to the upper decks and the lifeboats were uncovered, he and Quartermaster George Rowe fired distress rockets from the ship’s rail. They used a Morse Lamp as well, in an attempt to signal the ship they saw in the distance, but to no avail. Following rescue, Joseph Boxhall testified at the American and British inquiries into the disaster. He returned to England, served aboard the Adriatic, then joined the Royal Naval Reserve before serving his country during World War I. He married after the war, then continued his career aboard several ships before his retirement in 1940. He acted as technical advisor during the filming of A Night to Remember in 1958. He had suffered from pleurisy periodically since Titanic’s sinking, and his health deteriorated rapidly in the 1960s. He died in 1967 at age 83, and requested that his ashes be scattered over the location he had calculated the night the ship went down. One of the reasons so many individuals perished on the Titanic was the lack of enough lifeboats for everyone. Titanic had a maximum capacity of 3327, but on her one and only voyage, around 2224 passengers and crew were on board. However, her 20 lifeboats were capable of carrying 1178 at most. And because most of the boats left the ship less than full, only 712 survived the sinking. Larger davits had been proposed for the new White Star Line ships, including Titanic, allowing for 48 lifeboats. But regulations issued by the Board of Trade required only 16 lifeboats for all British vessels over 10,000 tons. Titanic’s designers opted for 20 lifeboats, wanting to save on unnecessary costs and provide plenty of space for passengers to stroll the open decks. Twenty boats were more than the law required, and that seemed more than sufficient. After all, they could practically guarantee there would be no need for them. Titanic carried 16 regular lifeboats, numbered 1 through 16. Eight even-numbered boats were mounted along her port side, and the eight odd-numbered boats along the starboard side. Four collapsible boats were stored near the bow, with two on either side. Diagram showing lifeboat placement. Two collapsible boats (red) are not seen. The pink boats are emergency cutters. Fourteen lifeboats each had a capacity of 65. They were 30 feet long, 9 feet wide, and 4 feet deep. They were supposed to be equipped with oars, blankets, provisions, and flares, although some survivors claimed their boats lacked one or more of these items. Two emergency cutters, boats 1 and 2, were built to hold 40. They measured 25 feet long and 7 feet wide. Their purpose was for immediate emergencies, such as a man overboard, and were permanently swung out, ready for lowering. The four collapsible boats, A, B, C, and D, were 27 feet long, 8 feet wide, and 3 feet deep. They had canvas sides that could be raised in use and could be stored almost flat. 1) The one lifeboat drill had been cancelled due to cold weather. 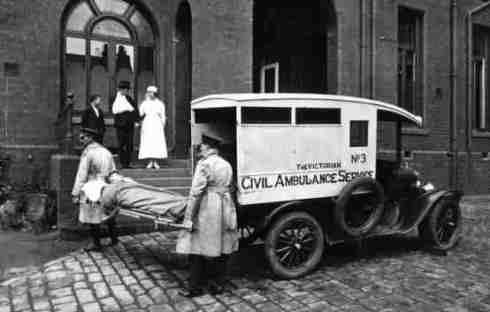 2) When Captain Smith ordered passengers to be loaded into the lifeboats, many refused, not aware of the real danger. They felt it was safer to remain onboard the ship than climb into a small boat and be lowered to the sea. Many women didn’t want to leave their husbands, brothers, or sons. 3) Crewmen had not been given adequate lifeboat training. Some charged with filling the boats weren’t sure of how many the boats could hold and lowered them half-full. 4) Some crewmen strictly enforced the ‘women and children first’ rule, and when no more women and children were immediately available for boarding, they lowered the boats as the men watched. 5) Third class passengers reached the boat deck late, due to a lack of information and language barriers. Some were purposely kept back by crewmen until first and second class passengers filled the boats. By the time more third class passengers reached the boat deck and the true urgency of the situation was realized, most of the boats had already gone. Only two lifeboats returned to the scene after the Titanic sank to rescue a few people in the water. Following the inquiries into the sinking, a new ruling required every passenger vessel to be equipped with more than enough boats to carry every passenger and crewmember, and for crewmembers to be fully trained in lifeboat use. Also, lifeboat drills for all passengers on every voyage is now required by law. Note: Beginning today, I will be posting on this blog every other Wednesday. As soon as my novel about Titanic survivor Ruth Becker is accepted for publication, I will share the news with you here. Thank you to all my readers! I look forward to bringing you more of the Titanic on April 13th, one day before the 104th anniversary of the sinking. Dozens of families with third class tickets boarded Titanic at Southampton, Cherbourg, and Queenstown, with the hope of making a new start in America. Instead, some went to their graves, with every family member being lost in the sinking. For those that survived, many lost family members. Only a handful of third class families reached New York Harbor intact.Frank Goldsmith, 33, worked as a machinist in Strood, England. He and his wife, Emily, had one son, nine-year-old Frankie. They’d lost a younger son, Bertie, to diphtheria in 1911, and Emily’s father encouraged the family to come to Detroit, where he had emigrated, for a new start. All the publicity about Titanic and her comfortable third class accommodations won Frank over, and the decision was made. Frank’s coworkers in Strood gave him a new set of tools as a parting gift, Emily packed her Singer sewing machine, and Frankie dropped his new cap pistol into their packing case. In Detroit, an English neighbor of Emily’s father arranged for his younger brother, Alfred Rush, to travel with the Goldsmiths. Alfred would turn 16 during the voyage. Another friend from Strood, 34-year-old Thomas Theobald, also traveled with them. Frankie couldn’t wait for his big adventure ahead. His mother bought a seasickness remedy called Gibson’s Fruit Tablets, and Frankie ate them like candy on board Titanic, even though he didn’t feel the least bit seasick. He was thrilled to learn they would stop in Cherbourg and Queenstown before heading to America. Frankie recalled, “Not only were we going to America, we were going to another land, France! Then bonus wise, we would also be going to Ireland next, two fairy-tale places that tripled the joy in the eyes of a nine-year-old boy.” As Titanic left Queenstown on their second day at sea, Frankie said, “Mummy! At last we’re on the ‘lantic!” He soon made friends with several other English-speaking boys in third class. They climbed the baggage cranes and sneaked into the lower decks to watch the stokers at work. When the Titanic struck the iceberg, Frank Goldsmith managed to quickly usher his family, Alfred, and Thomas to the lifeboats. Emily and Frankie were put into Collapsible C. Frank told his son, “See you later, Frankie,” and stepped away to allow women and children to board. Alfred had celebrated his birthday and proudly wore his first pair of long pants. He was small for his age, according to Frankie, and may have passed for a child and been allowed to board. But Alfred declared, “I’m staying here with the men!” Thomas gave his wedding ring to Emily, asking her to send it to his wife back in England. Frank Goldsmith, Alfred, and Thomas did not survive. Only Thomas’ body was recovered. Emily Goldsmith and Frankie made their way to Detroit with the help of the Salvation Army. For a long time, Frankie hoped his father would somehow walk through their door, until he gradually accepted the fact that his father had perished in the disaster. He and his mother moved to a home near Detroit's Navin Field, which later became Tiger Stadium. For years, whenever the Detroit Tigers scored a home run, the roar of the crowd reminded Frankie of the screams from the dying passengers in the water as the Titanic sank. He married and had three sons, but never took his children to baseball games for that reason. He later moved to Ohio and in 1981, wrote Echoes in the Night: Memories of a Titanic Survivor. It became the only book written by a third class passenger about the sinking. Frankie Goldsmith died in 1982 at age 79. That April 15th, the 70th anniversary of the sinking, his ashes were scattered over the area where Titanic rests, and where he lost saw his father. Today, the Goldsmith family continues to share the story with Titanic enthusiasts around the US and the world. In the past few weeks, we’ve explored the way passengers in each class boarded Titanic, checked out the accommodations in each class, and looked at typical first class apparel onboard the luxury liner. Today, let’s see what the passengers ate for dinner on April 14, 1912. No one knew, of course, it would be the last meal served on the Titanic. In third class, all meals for the day were printed on one card. Dinner was the largest meal and was served mid-day. Second class passengers were served a smaller version of the first class menu but with fewer courses. Each course in first class was served with a selected wine. Following the last course, fruits and cheeses were available, as well as port. In First Class When first class passengers boarded Titanic, they were met by the chief steward and his staff, who escorted them to their staterooms. Men were each given a flower for their buttonholes. Most of their cabins were on the upper decks, away from the noise of the engines and near the dining room, Grand Staircase, and Promenade. Thirty-nine first class suites were decorated in different period styles. The suites included bedrooms, bathrooms, lounges, and extra rooms for servants. A few had private promenades. Smaller first class cabins consisted of only one large room and a bathroom. A few shared a bathroom with another cabin. Second class passengers boarded the ship through a separate gangway on C-Deck, and were given directions to their cabins. Each large cabin was equipped with beds, a desk, dresser with mirror, sofa, and a washbasin with cold water. Passengers could ask their stewards to bring hot water if they wished. Bathrooms were located down the hall and were shared by several passengers. A separate section of the Boat Deck was set aside for second class passengers to enjoy a stroll in the open air. Passengers in third class were greeted by a medical officer who inspected them for lice or signs of trachoma (an eye disease) or other health problems. Any infectious disease would prevent them from being able to enter the United States. Their tickets were then stamped with a section number and the passengers boarded the ship on E-Deck. Stewards helped direct them to their cabins, but many of the non-English speaking passengers were frustrated with the maze of halls and stairways. Third class cabins varied in size, but most were fitted with bunk beds, a mirror, and a washbasin. They were below water level so they did not have portholes. There were only two bathtubs in the shared bathrooms for over 700 passengers. 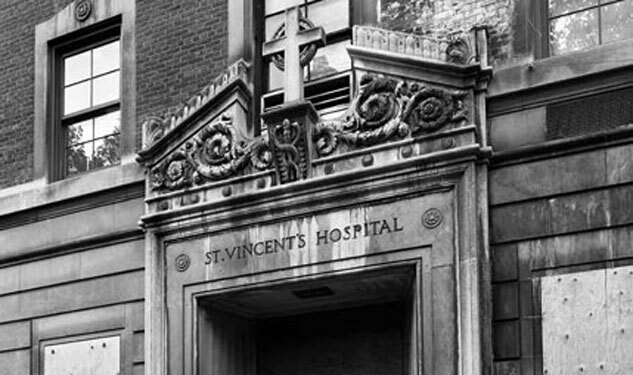 Most found their accommodations to be clean, comfortable, and adequate for their needs. 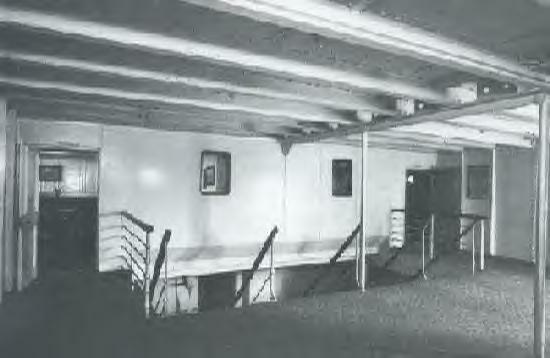 Most stewards’ cabins were on the same deck as the passengers they served. First class stewards could be summoned at any time with the touch of a button in the cabins. No daily maid service as we know it today was available. No cabin aboard the ship was given the number 13. This post concludes our look at each of Titanic’s 13 honeymoon couples. They came from different countries, different walks of life, and had various reasons for sailing on Titanic. Some survived the sinking and were able to carry on with their lives. In some cases, the husband or wife lived but were forever separated from their spouse. Others went to their deaths together. They each had their own love story. Sir Thomas Lipton grew up in Glasgow, Scotland and started the first Lipton’s grocery store there in 1870. By 1888, one store grew to 300. He then created the Lipton’s tea brand and established it across Europe and North America. To young Neal McNamee, a new Lipton employee in Derry, Ireland, Sir Thomas was a hero. Neal planned to start his own business one day and became a dedicated, hard-working employee, soon earning a promotion to the London store in 1910. Then, when Eileen O’Leary applied for a cashier’s job at the store in nearby Salisbury, he was so taken with her charm and beauty that he soon began courting her. It wasn’t long before the two fell in love. Neal had been offered a position at Lipton’s new store in New York City, so when he proposed to Eileen, she knew she would need to leave her family behind. Also, Neal was Catholic and she was a committed Baptist. With interfaith marriage not being acceptable at the time, Eileen would need to convert to Catholicism. But she loved Neal, and the two had great dreams for the future. She accepted Neal's proposal, and the two were married in January, 1912. For their transportation to their new life in New York, Neal booked a small third class cabin on the new ship everyone was talking about, the RMS Titanic. 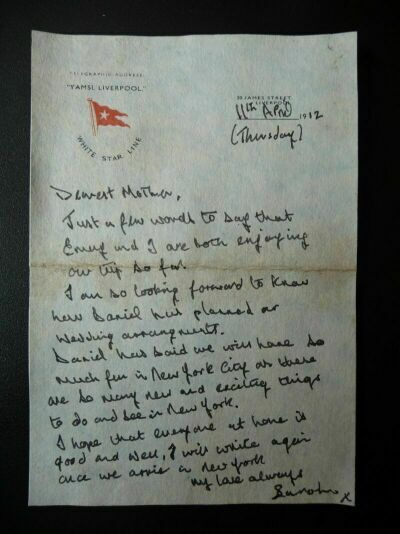 Sir Thomas Lipton gave Neal a glowing letter of recommendation to present to the manager of his New York store. Eileen received her own letter from the mayor of Salisbury, thanking her for serving as a Sunday School teacher at her church and praising her fine character. On April 10, the couple checked into their cabin and enjoyed the comfortable third class dining room and other public areas during the voyage. But no surviving witnesses recalled seeing them after the Titanic collided with the iceberg. Some stewards directed third class passengers toward the boat deck, others found it themselves, and many others waited in their cabins for instructions, due in part to language barriers. Eileen’s body was found by the recovery ship Mackay-Bennett. She had apparently taken some time to dress in several layers of warm clothing and she still clung to her purse. It’s assumed she and Neal had reached the outer decks and were not stuck somewhere inside the ship. Neal’s body, however, was not found. Today in a Salisbury park, a memorial plaque and bench pay tribute to these two young lives full of hope and dreams for their future together. I hope you’ve enjoyed the Titanic Honeymoons series of posts. As always, I’d love to hear your thoughts! Next week, we’ll continue with another aspect of the great RMS Titanic.